The UK has this this week’s blockbuster film with Jurassic World: Fallen Kingdom, if you happen to be in America you will have to wait until 22nd June for this one. That said the USA does have the horror movie Hereditary and the comedy heist Ocean’s 8 starring Sandra Bullock and others. So let’s take a closer look at them along with their movie trailers, here are the cinema releases June 8 2018 for the UK & US. 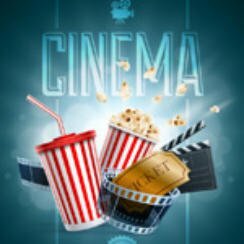 We here at Popcorn Cinema love watching films, be that at the cinema or at home so get that popcorn ready as we take you through all of this week’s new releases. Wow another Jurassic Park / World movie, I’ll be honest I’ve never been a fan of these but can kind of see why people like them, rest assured I won’t be heading to my local cinema to check this one out. Ocean’s 8 releases in America this week and I have to say the trailer does look more than a little cringeworthy, that said I am a fan of Sandra Bullock so I really hope the film is better than the trailer suggests. The one film that does look interesting from its movie trailer has to be the horror film Hereditary but I guess I’ll have to wait until the 15th June to find out.